We’ve been hearing from our community for months about how bad they’ve wanted an Android app; we’ve been hard at work creating it, and the day has finally arrived! This launch represents a major step toward our mission of ending “social rut” by opening up Whrrl to a wider set of users. 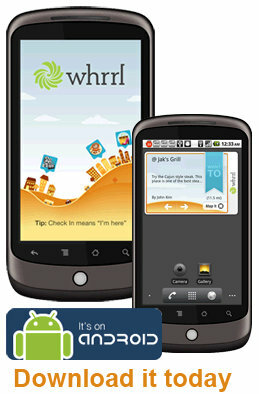 You can get Whrrl by visiting the Android marketplace from your device.